Happy Monday, y’all! It’s a short week over here, as we’ll be heading to the mountains for a fun trip later this week. The girls are so excited to see waterfalls and pick apples and we’re excited for breweries, cold weather and spending time with my parents! This week’s clean eating meal plan will be cut a bit short for us, but you can download four weeks of dinner ideas here for more inspiration. 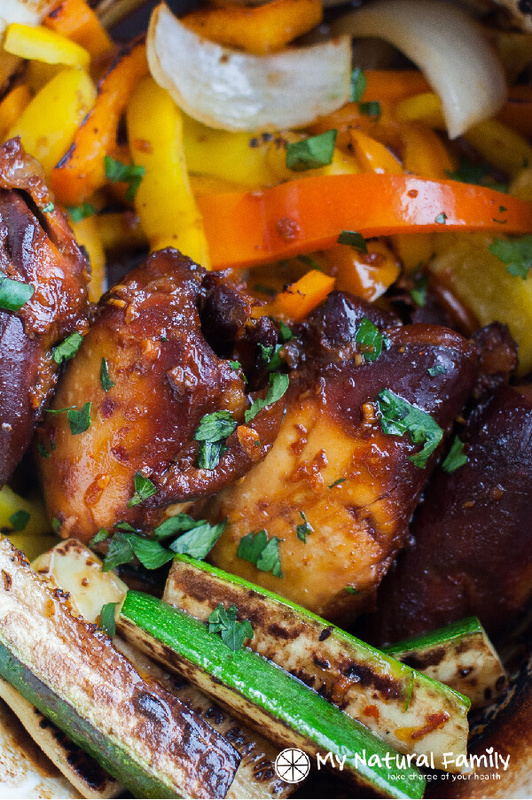 Slow Cooker Honey Balsamic Chicken, Roasted Sweet Potatoes + Roasted Broccoli – This is one of my favorite chicken recipes and I’m all about slow cooker dinners! 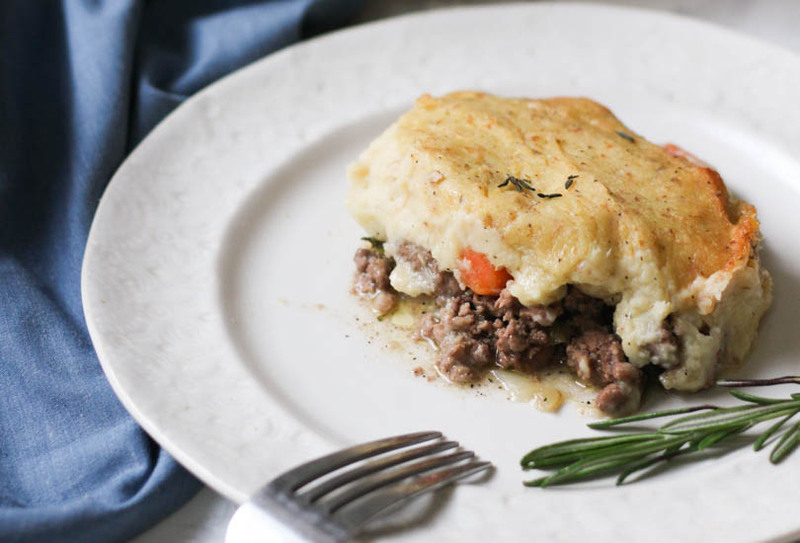 Paleo Shepherd’s Pie – This was on last week’s menu and we never got around to it, but I have a cauliflower in the fridge I need to use! 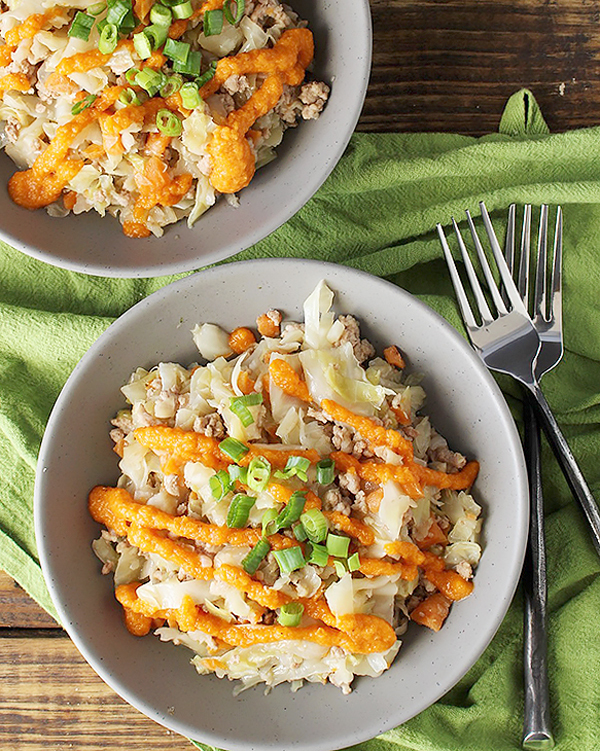 Egg Roll in a Bowl + Roasted Carrots – One of my favorite easy and quick recipes, this is perfect since we’ll be busy packing and prepping for our trip! 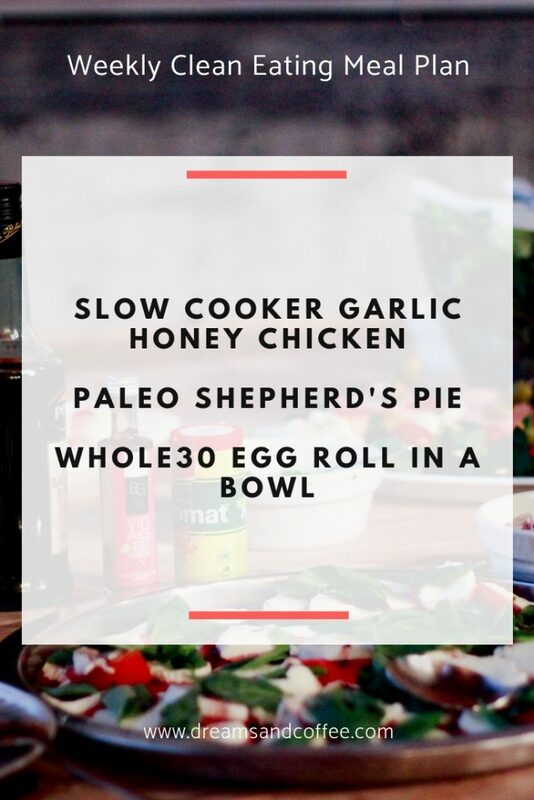 Be sure you grab my downloadable meal plan with 28 healthy dinner ideas and subscribe to the blog for a weekly meal plan delivered straight to your inbox!